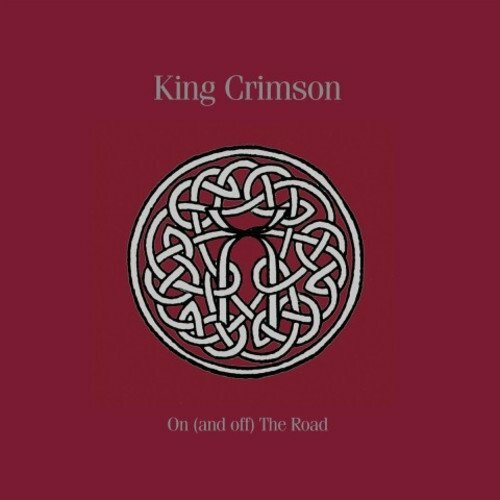 The 19-disc limited edition box set 'On (and Off) The Road' presents a complete overview of the enduringly popular 1980's incarnation of King Crimson. Featuring a wealth of previously unheard audio and / or upgraded audio from the band's first to final performances, stereo and 5.1 editions of Discipline, Beat and The Three Of A Perfect Pair, plus video recordings of some of the best live shows the line-up played and substantial new concert footage, all presented to the high standards that have been a staple of King Crimson boxed sets of recent years. * 3 BluRay discs containing all the DVD-a disc material plus extensive additional video material including: Frejus live (Discipline), Alabama-Halle (Beat) (footage unseen since original 1982 broadcast), Japan 1984 (Three of a Perfect Pair) and additional hi-res audio options. * The Three Of A Perfect Pair BluRay also features previously unseen footage from the final run of 1984 Japanese concerts plus 2 sets of 'single camera footage' recordings with shots focusing on each of the individual musicians. * 2 additional discs are 'More Neal and Jack and Me' (disc 18) - allowing the two concerts to be presented in 4:3 aspect ratio as per original film and effectively a 1982 hi-res tour disc (disc 19). Presented in a 12-inch box with booklet, memorabilia, extensive sleeve notes and eyewitness accounts of Crimson live shows.